Our Canadian friends Tlink have just released their new, super lightweight GPS golf watch. Best of all, it only costs $99 (pre-order here)! Use promo code GOLFGEARGEEKS to get an additional $10 off! TLink is a lightweight Bluetooth device that pairs with your smartphone to provide yardage to the front, middle, and back of the green. Our stylish design can fit into either a wristband or belt clip skin, so you can choose how it’s worn. Power up your game with a unique blend of comfort, affordability, and yardage accuracy. Displays yardage to front, middle, and back of the green as well as current hole information. Syncs with your phone at the start at the start of the round and let TLink do the rest. No distractions necessary. Tracks steps, distance walked and calories burned on the course. Provides yardages for over 30,000 courses from around the world. Stays connected for multiple rounds with up to 15 hours of battery life. Remains clearly readable under direct sunlight with anti-glare LCD display. 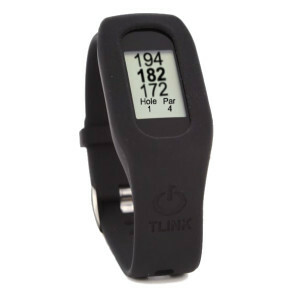 The Tlink GPS Golf Watch is available for pre-order now at their website www.golftlink.com. Remember to use promo code “GOLFGEARGEEKS” to get an additional $10 off.